We never know the last hour we will have. 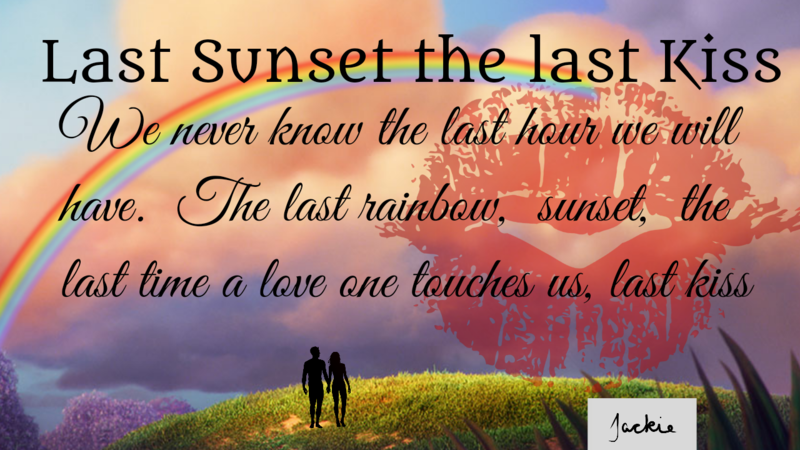 The last rainbow, sunset, the last time a love one touches us. I spent many years in Iraq. We would leave the “wire” or the base usual at sunset or night. I would get out of my vehicle and look at the moon, sunset, stars and think this could be my last. Never take for granted.